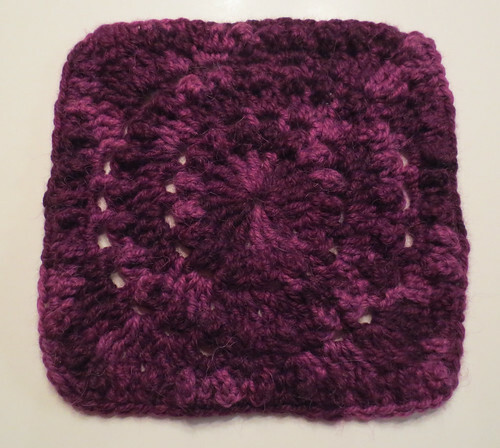 The scalloped edging was added by attaching the pale plum yarn, then working single crochet (SC) in each stitch and 3 SC in the corner ch-2 space. Then I worked one additional row of SC in each stitch before working the scalloped edging. Ch 1, *Sc in next stitch, skip 2 stitches and work 8 Dc in next stitch, skip 2 stitches*. Repeat between * to the end of the round. End with a Sc at end of round and Sl St into the beginning Sc of round. 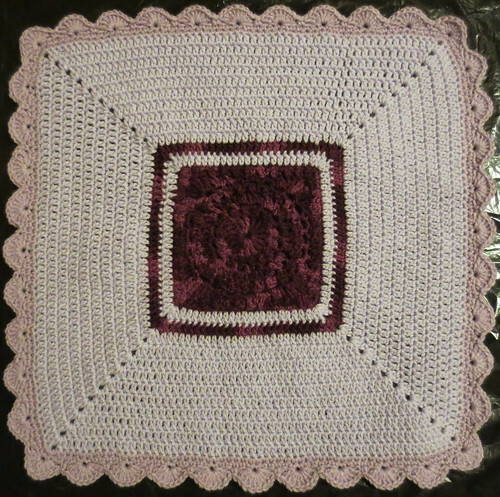 The finished size is a 22 inch square baby blanket that I will be shipping to the 2014 NICU Baby Blanket Drive. Come join us if you are able. 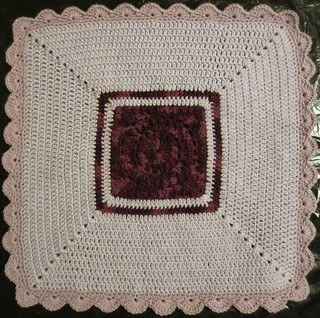 It is very rewarding to make blankets for these precious little babies.